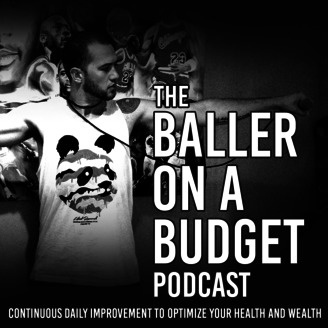 The Baller On A Budget Podcast is a show created for you, by someone just like you. Joe Silva is an average human being, on a mission to become a better human being, through continuous daily improvement. 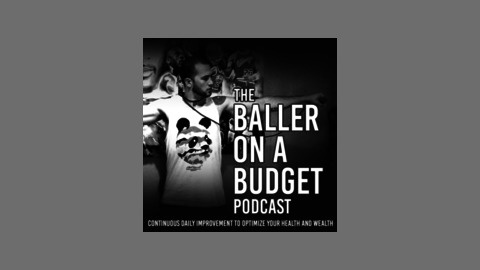 He is dedicated to bringing you quality conversations with dream chasers and action takers, as well as providing you with the best tricks, tips, and resources he finds for personal and business development. Self-Evaluation For The Last Six Months [The following is more or less the script I used for the body of the episode. I go off script in the episode a little bit, haha] In the last six months, I have learned and improved more than in any other six-month period in my life. I have put myself through a crash course in podcasting and blogging and am extremely proud of what I have managed to accomplish so far. I started as a major consumer of blogs and podcasts. From there, I decided that I would like to have my own place to put my thoughts and speak my mind. I had absolutely no knowledge of computers or the internet past social media, but I managed to build a basic, and functional blog where I could put my thoughts. I was listening to a lot of podcasts and thought having one of my own would be an amazing compliment to the blog, and it has proven to be just that. I had no idea where to start, or what was involved in starting a podcast, but I immersed myself in information, joined an amazing community of podcasters, and managed to produce and launch a podcast, and get it into New and Noteworthy on iTunes. I have published 36 blog posts, a dozen podcast episodes, including 8 interviews with some really intriguing people. I have made some amazing connections with other podcasters. I have learned a ton about how much work it takes to make just one episode. I have spent hours and hours writing, reading, researching, recording, editing, and promoting. It's mentally draining, and it's tougher stuff than I imagined, I'm not going to lie. It's also exciting and interesting. There's nothing like hitting the publish button and watching it go out into the world. There's nothing like getting a message from someone saying they really resonated with an episode I produced and to keep up the good work. There's nothing like seeing your show in iTunes and then seeing through analytics that it's been downloaded in 22 countries so far. There's nothing like it.